A study published online in the International Journal of Cancer earlier this month describes a novel approach to preventing cervical cancer based on findings showing successful reduction in the risk of cervical cancer after removal of a discrete population of cells in the cervix. The findings come from a study that looked at squamocolumnar junction cells, or SCJ cells. 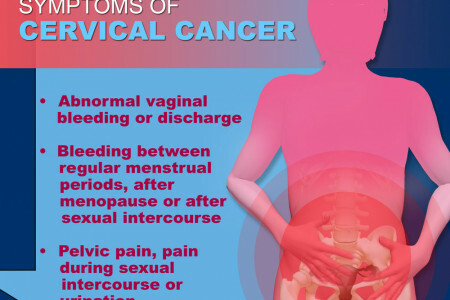 These cells reside in the cervical canal and have been implicated as the origins of cervical cancer. A research team co-led by Christopher Crum, MD, director, Brigham and Women’s Hospital (BWH) Women’s and Perinatal Pathology, demonstrated that removal of SCJ cells resulted in a markedly lower risk of cervical intraepithelial neoplasia - a non-cancerous, abnormal growth of cells on the surface of the cervix that may progress to cervical cancer. One hundred and thirty-one women with cervical intraepithelial neoplasia were treated with a loop electrosurgical excision procedure to remove the SCJ cells. During the follow-up period (of up to four years), 16 recurrences were identified. Four were identified at the first follow-up visit, and determined to be residual disease, meaning they were not removed in the initial procedure. Twelve manifested after the first postoperative visit and all were in the ectocervix or in mature metaplastic epithelium. All of the 12 delayed recurrences were cervical intraepithelial neoplasias and did not have SCJ cells. “We have always suspected that most recurrences following apparently successful therapy do not develop in the same location as the original precancer, which was at the squamocolumnar junction,” said Crum. Crum emphasizes that eliminating SCJ cells does not prevent cervical intraepithelial neoplasias nor does it prevent human papilloma virus (HPV) infection - which can lead to cervical cancer. But what is significant about the findings, according to the researchers, is that removal of SCJ cells seems to alter recurrence patterns, presumably by removing the population that is most vulnerable to development of the more dangerous precancers. This study was supported by the Belgian Fund for Medical Scientific Research, Centre Anti-Cancereux près l’Université de Liège, Faculty of Medicine of the University of Liège, National Cancer Institute (1R21CA173190-01), and Fonds Léon Frédéricq. Brigham and Women’s Hospital (BWH) is a 793-bed nonprofit teaching affiliate of Harvard Medical School and a founding member of Partners HealthCare. BWH has more than 3.5 million annual patient visits, is the largest birthing center in Massachusetts and employs nearly 15,000 people. The Brigham’s medical preeminence dates back to 1832, and today that rich history in clinical care is coupled with its national leadership in patient care, quality improvement and patient safety initiatives, and its dedication to research, innovation, community engagement and educating and training the next generation of health care professionals. Through investigation and discovery conducted at its Brigham Research Institute (BRI), BWH is an international leader in basic, clinical and translational research on human diseases, more than 1,000 physician-investigators and renowned biomedical scientists and faculty supported by nearly $650 million in funding. For the last 25 years, BWH ranked second in research funding from the National Institutes of Health (NIH) among independent hospitals. BWH continually pushes the boundaries of medicine, including building on its legacy in transplantation by performing a partial face transplant in 2009 and the nation’s first full face transplant in 2011. BWH is also home to major landmark epidemiologic population studies, including the Nurses’ and Physicians’ Health Studies and the Women’s Health Initiative. For more information, resources and to follow us on social media, please visit BWH’s online newsroom.